Planting a church is one of the most exciting adventures youll ever embark on. Its also one of the hardest. It requires initiative, leadership, strategy, systems, and a lot of prayer. 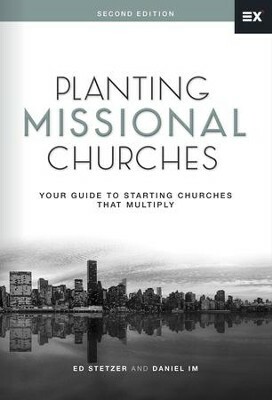 In this second edition of Planting Missional Churches, not only will you find a completely redesigned book with new content in every single chapter, but you will also find several new chapters on topics such as church multiplication, residencies, multi-ethnic ministry, multisite, denominations and networks, and spiritual leadership. So if youre planting a church, be prepared. Use this book as a guide to build the needed ministry areas so that you can multiply over and over again. For additional resources visit www.newchurches.com/PMC. I'm the author/artist and I want to review Planting Missional Churches: Your Guide to Starting Churches that Multiply - eBook.